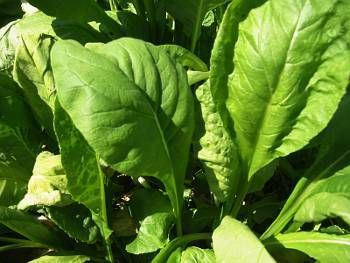 Broad spinach-like leaves can be eaten as cooked greens or in salads and sandwiches. Remains crisp and mild even during hot weather. For continuous supply sow every month or so. Will regrow some after cutting. 20-30 days.